For the backyard birder the next couple of months will be a little on the dull side in regards to wild birds. The breeding season is over, with the exception of some final Bluebird nests, and the usual cast of bird characters will typically become a little less busy at the feeders, at least until the end of October. Fall migration, of course, will provide opportunities to see all the neo-tropical migrants heading back to Central and South America. Hopefully, hummingbirds have picked up their pace at your feeders and are providing their unique “aggressive” style of entertainment. Remember to keep nectar fresh and to clean feeders regularly. There is no particular time to take your hummingbird feeders down. It is not true hummingbirds will not migrate if feeders are still available. 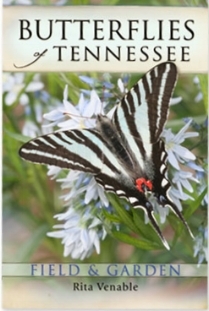 Now is a great time to turn some of your attention and interest to butterflies and late-summer and fall wildflowers. 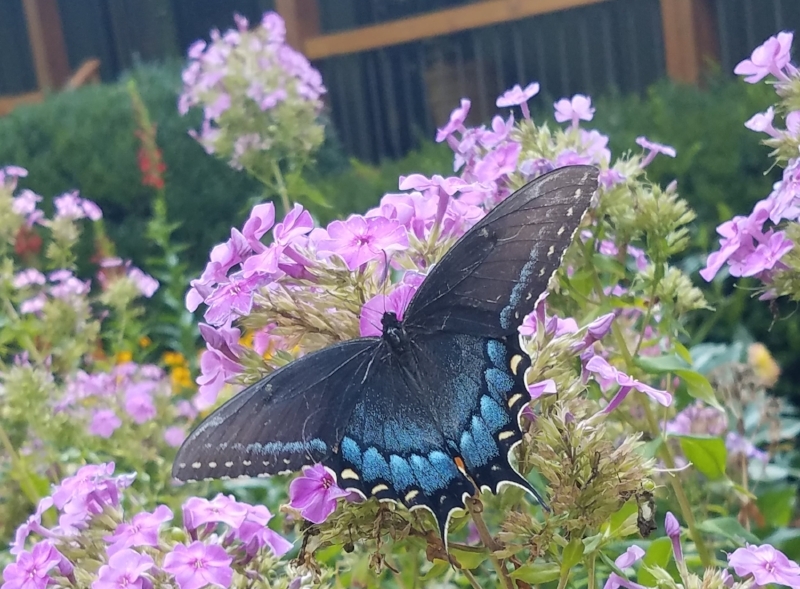 My yard has been very busy with Eastern Tiger Swallowtail, Pipevine, Spicebush, and Black Swallowtail. And most summers I get to see Giant Swallowtail and Zebra Swallowtail. 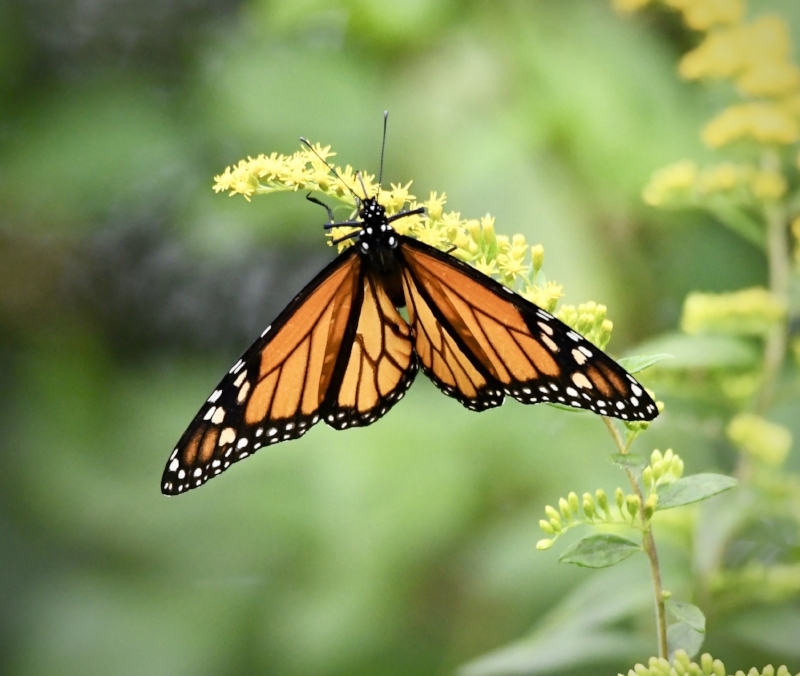 It’s so easy to get a good look at these butterflies because they are so intent on getting nectar from flowers they seem to barely notice your presence. Other common yard butterflies include: Red spotted Purple, various Frittalary’s, Sulphur’s, Skipper’s, and of course Monarch’s. And when the fall wildflowers are at their peak one can spend hours observing and identifying the plants and the butterflies at the same time. Some of the areas I frequent are loaded with Ironweed, a tall (up to 10”), stalky plant that has clusters of intensely purple flowers, and Tickweed with its yellow flowers, and the several varieties of Sunflowers. The purples and yellows and all the greenery make for quite a show and the butterflies can’t get enough of it. Both subjects are challenging so a really good field guide is needed to help one get started. 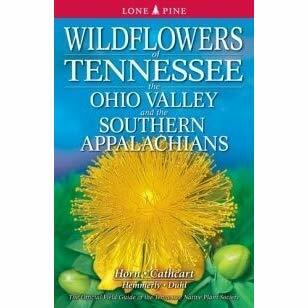 The definitive guides to wildflowers of TN, “Wildflowers of Tennessee the Ohio Valley and the Southern Appalachians”by Horn, Cathcart and butterflies, “Butterflies of Tennessee” by Rita Venable are available here at the store. To help you get started we are offering 20% off both of these fantastic field guides. There has been a lot of buzz over the return of the wildflowers book so if we run out of our first order we will promptly re-order and honor the sale price. Friday the 10th through Thursday the 15th both books are 20% Off.